Delia Belciu Law Office is a law and intellectual property boutique firm founded by an experienced and passionate Intellectual Property practitioner with independent recognized reputation, having twelve years of experience in the field, successfully representing and counseling clients in various fields of Intellectual Property IT, Technology, Media, Advertising, Consumer Protection, Data protection & Privacy, Life sciences & Pharma. DB Law Office became a member within ASEMER – The Association of Spanish Enterprises in Romania. Delia Belciu is representing ASEMER in the Pharma Task Force which functions within the Coalition for the Development of Romania, (Coalitia pentru Dezvoltarea Romaniei), a private initiative that brings together the most representative business sector organizations in Romania. DB Law Office is the member for Romania of the IT IP Law Group, a tight network of legal professionals in the areas of intellectual property rights (IP) and IT law. Delia Belciu has attended the group’s meeting in Vienna between March 23rd and March 25th during which she has made a presentation on the GDRP in Romania. 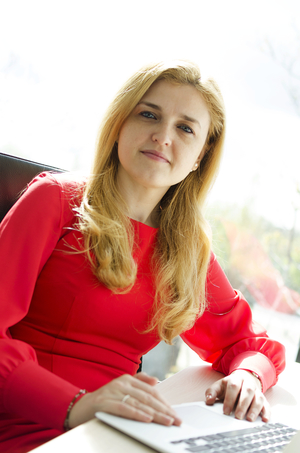 Delia Belciu has been recommended for the fourth time in a row as an IP Star by Managing Intellectual Property within its 2017 edition.